Popcorn is special type of corn-and the only type that pops. Its scientific name is Zea mays everta. It’s able to pop because each kernel is hard on the outside and starchy on the inside. A kernel of popcorn contains a small amount of water. When the kernel is heated to above the boiling point of 121°F (100°C), the water turns to steam. As the steam builds up, it creates pressure inside the kernel. The steam needs a way to escape. Eventually, the pressure causes the outer casing of the kernel to rip open, and the steam rushes out. The explosion of the kernel is what makes the familiar popping noise. The explosion also causes the starchy interior of kernel to inflate and form a new bumpy shape. A “popped” kernel can swell up to 50 times its original size. Popcorn kernels can pop up to 3 feet (1 m) in the air. What Makes Milk Turn Sour? Milk contains a sugar called lactose. It's the ingredient that makes milk taste good. Milk also contains a type of harmless bacteria called lactobacillus. The bacteria feed on the lactose for energy so they can reproduce and create more bacteria. As they do so, the sweet-tasting lactose turns into sour-tasting lactic acid. When enough lactic acid builds up in the milk, the milk “turns” and tastes bad. The milk we buy in grocery stores has been pasteurized, or heated to very high temperatures. Pasteurizing is done to kill bacteria in the milk that might make us sick. But the heating process also kills some of the harmless lactobacilli. That’s why pasteurized milk lasts longer in the refrigerator than non-pasteurized milk. There are fewer lactobacilli it in, which means the milk takes longer to turn sour. Onions belong to a family of plants known as alliums. Other plants in this family include leeks, garlic, and chives. Alliums absorb a chemical called sulfur from the soil in which they’re grown. That chemical gets into their cells. When you cut the onion, you break open some of its cells. The chemicals inside the cells—including the sulfur—are then released into the air, where they join together create a sulfur gas. The gas float up through the air and into your eyes, it mixes with the natural water in your eyes to form sulfuric acid. Sulfuric acid stings, which causes your eyes to water. The water—or tears in your eyes’ way of diluting the acid so it will stop stinging. 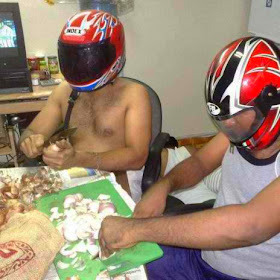 Chefs have a trick for keeping onions from stinging their eyes. They cool the onions in a refrigerator before cutting them. When an onion is cold, the chemicals in its cells are less likely to form a sulfur gas. Why Does Pepper Make Us Sneeze? The irritated nerves quickly send message to your brain, which then orders the muscles of your nose and throat to contract…and sneeze! The sneeze forces air, mucus and, hopefully, the irritating pepper out of your nose. The rush of air that comes out of the nose during a sneeze can reach speeds of more than 100 miles (161 km) per hour. Whether an object—like an egg—floats or not depends on its density, or how much it weighs compared with the amount of space it takes up. If an egg’s density is lower than that of the water, then it will float. You can test an egg for freshness by placing it gently in a bowl of water. Don’t eat the egg if it floats! Fresh eggs are denser than water, so they sink. But as an egg gets older, two things happen: The water inside the shell begins to evaporate, and the egg begins to rot. Both those things cause gases to form inside the shell. And gasses are lighter than water. 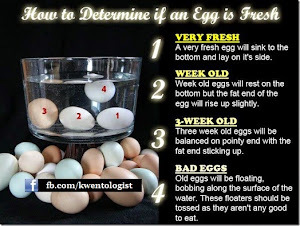 That’s why stale and rotten eggs float when put in water. If you add enough salt to water, even a fresh egg will float in the liquid. That’s because salt water has a higher density than freshwater. Why Does a Teakettle Get Quite Right Before it Starts Whistling? 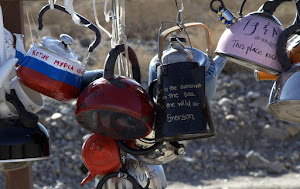 Water at the bottom of a teakettle boils first. It turns into bubble gas, which rises up toward the surface of the water. But those bubbles meet the cooler water on the way up, which makes them collapse and change back into a liquid. The quiet rumbling you hear as the water in teakettle boils is the sound of those bubbles popping as they collapse. As more water is heated, more bubbles form—and collapse. The rumbling becomes louder and louder. Eventually, all the water is hot enough so that the bubbles make it to the surface without popping. At that point, the noise from teakettle stops but only for a few moments. The gas in the bubbles soon forms enough vapor pressure (stream) in the air above the water set off the teakettle's whistle. Like all minerals, sugar and water are made of very small particles called molecules. When you mix sugar in water, the water molecules start colliding with the sugar molecules to break apart from each other. As they dissolve, they seem to disappear. Water molecules move faster when they're hot than when they're cold. That means the sugar is still in the water, though. You can taste it. You just can't see. Thank you for reading Fun Kitchen Science That Are NOT Just For Kids posted on the website Kwentology if you want to redistribute this article please include the link as the source. Have some kuwento to share? Contact us!